How does one live soulfully when the marriage is far less than ideal or the body hurts or the health of someone much loved is in dire jeopardy; or when raising kids feels like a pressure cooker, there is yet another miscarriage, or aging parents demand our attention; or the career hits a dead end, family discord creates havoc, grief has eclipsed joy; or in that awful “no man’s land,” of waiting for a decision, a diagnosis, a green light, a job or college acceptance, a dream realized, just a new path—an answered prayer? 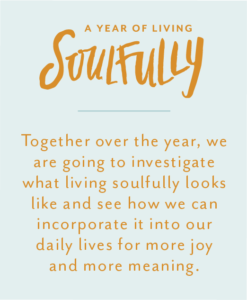 Said another way, how do you live soulfully when you feel poignantly the limits of your humanity? During my graduate school days in London, my favorite haunt was Holland Park. Early in the morning, I would jog through the serene Kyoto gardens and catch happy glimpses of many a band of squirrels, a Japanese heron or a sneaking red fox. But the real joy was spying those very royal peacocks in all their plumed majesty. A peacock’s fan of feathers, their iridescent blues and greens, that signature “eye” pattern and elegant, otherworldly headdress make the bird a true work of art. It is said a peacock earns it’s beautiful feathers by eating thorns. I am struck by the irony. It’s example could apply to you and me as well. Judging by the pictures we post on Facebook and instagram and our rosy disposition in the Sunday pew, you would think life is a perfect smile emoji. When the real truth is your life and mine is complex, messy, challenging, unpredictable, peppered with setbacks, sometimes plainly no fun, and near comically imperfect. Live long enough on this planet and you will know the taste of thorns. The sharp edges of life cut our spirits from the inside out. Or, do these same thorns transform us into something more beautiful than before? The great Southern gothic author and devout Catholic, Flannery O’Connor, used the peacock as a literary symbol for resurrection. She believed in the mysterious workings of grace transforming a situation, even a soul. Well-aquainted with personal tragedy, O’Connor never gave up on God. She surely wore the figurative plumage of a glorious peacock. How do we live soulfully while crunching on thorns? First, accept the reality that life is never going to be perfect, go exactly as you would like it to, or be safe from suffering. Many of us are living our lives secretly disappointed, never satisfied with outcomes, forever short-changed and bitter. What if the obstacles are actually the keys that open doors and destinies? Practice patience and remember the words of Ecclesiastes 3:8, “there will be a season for everything, for every human experience under heaven’s rim.” We will lose and weep for what we thought we needed or deserved only to later celebrate what we could never have imagined. God is asking us to welcome the deep, the wide, the beautiful and the challenging and allow it to transform us into remarkable human beings. Touch someone else who is struggling, even more than you are. Extend a hand, a nudge of hope, a homemade chicken soup, a prayer. When we help another get back up, our own spirits resurrect. Call up people you trust and confess you need them today on the “work site” of your life! Let them carry your faith until you find again your balance. God wisely gave us each other to help make our ways through. The strange gift of a silver lining to eating thorns is a new intimacy with God which can only happen in your vulnerability. Our human limitations allow us finally to learn how to trust whole-heartedly. Let the late-night, tear-soaked, white-tiled bathroom floor conversations with God change you and your view of outcomes. A tête-à-tête with God can quickly move you from utter shock to faithful strategy. Know that God is confident in the ultimate direction of your life and mine. Have the courage to surrender and pray the words, “Thy will be done.” Watch as God adds beautiful feathers to your fan. P.S. If you are thorn-weary, reach out to me, show up on my doorstep or invite me to yours, ask me for a prayer. When one hurts, we all hurt. When one rises, we all rise. This is a collection of Flannery O’ Connor’s private prayers collected and published after her death. Thank you so much for these desperately needed words. My son has alopecia and my husband and I are grief stricken as we watch him lose more and more of his beautiful hair. 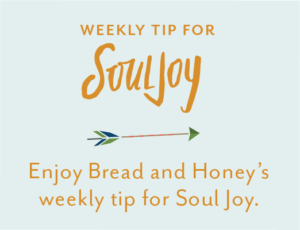 We are struggling so much right now to find our blessings in the midst of our sadness. I’ll be rereading this message for many days to come. Farrell this reall spoke to me this morning. Thank you! “Thy will be done.” 😊 Thank you, Farrell. Yes! I find helping others and reaching out through volunteer work, lights such a fire of love and hope. I encourage everyone to volunteer to help those less fortunate and see how God shows up so clearly and sooo powerfully in your giving. What a blessing. As though angels are carrying your words to my heart and offering the very balm I need on this serene morning, I offer thanks. Thank you, God, for choosing Farrell to be an instrument of your love. Thank you, Farrell, for using your rare and precious gifts to heal the hearts of many souls. I absolutely love this new metaphor for transformation from challenging/painful/bad to peaceful/beautiful/good. When you mentioned peacock eating thorns used as a metaphor by O’conner for Christian redemption, I immediately pictured the crown of thorns on Jesus’ head. There is no greater example of transformation than the resurrection at Easter! Maybe we should think of Lent as a time of “reflecting on thorns” or dealing with difficulties we have pushed to the back burner? Will check out this neat book suggestion. I have not read O’Conner since college. My recovery is gentley moving forward. Still a way to go but I walked at Radnor Lake for the first time in 3 1/2 years. 15 minutes but it’s a start that I am thrilled about it (talk about grateful)! Also, the serendipities you mention are what I call the action of the Holy Spirit in our lives…the positive coincidences that are eerily occur to our amazements (e.g. thinking of a friend you have not talked to in a long while and shortly thereafter, your phone rings with his/her voice on the other end). 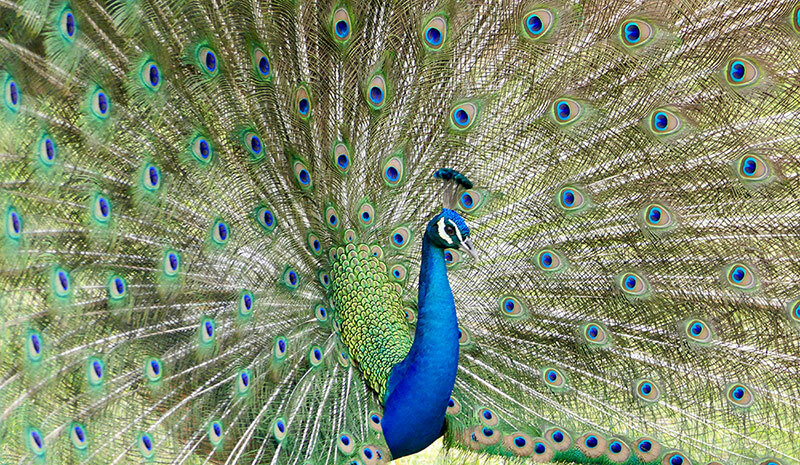 A little girl in our neighborhood (about age 9) came dressed as a peacock for Halloween with the most glorious costume….I told her how beautiful it was and she said “it’s real peacock feathers.” I asked her if someone had made it for her and she said her mom had.